Protein powders have always been divided into two categories: animal-sourced proteins that are great for helping you build lean muscle and strength, and plant-based proteins that, well, aren’t. Or at least that’s been the perception. 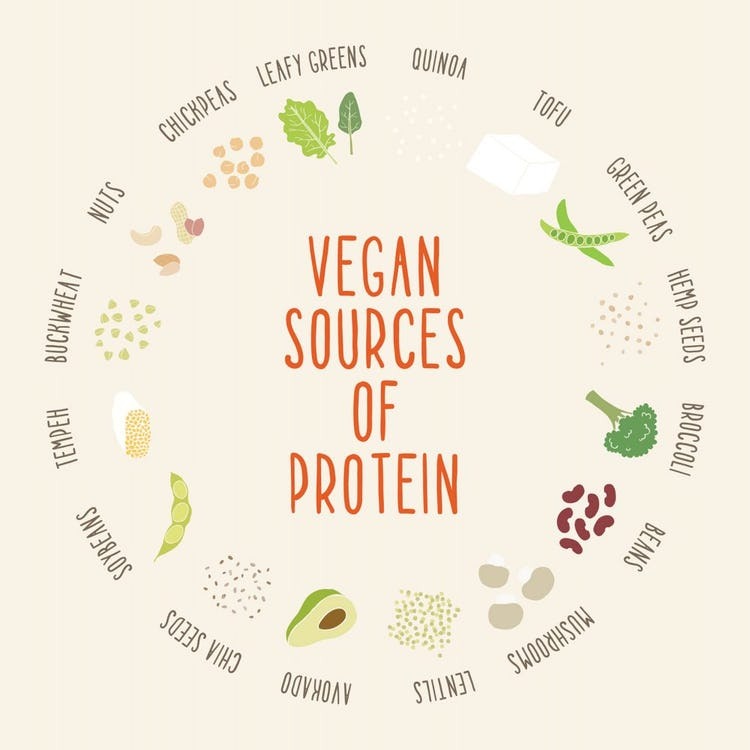 The truth is, animal protein supps are highly effective, but plant proteins can match the likes of whey, casein, and egg—and pea protein is a fine example. 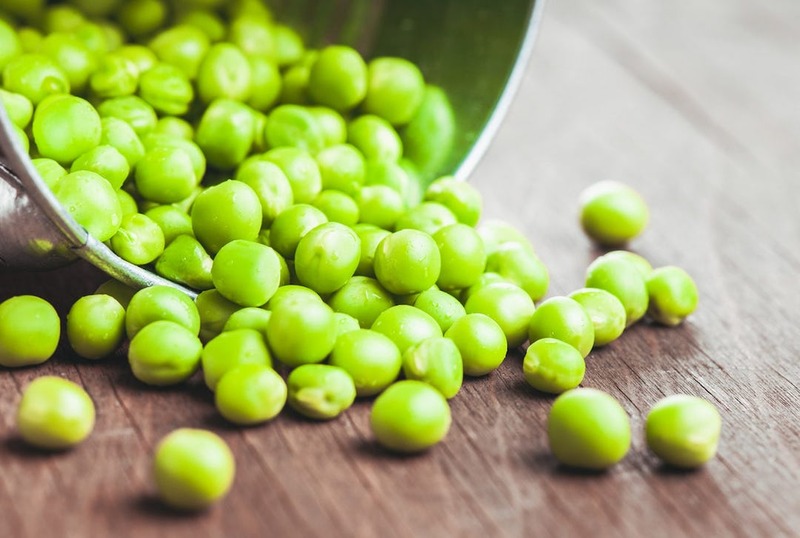 Aside from delivering comparable anabolic benefits to animal proteins, the power of peas is displayed through a number of other attributes, including high digestibility, a broad range of amino acids, and the absence of common allergens. Below is everything you need to know about making pea protein powder an integral part of your muscle- and health-boosting nutrition plan. Rest assured, it has nothing to do with urine (although many a musclehead would gladly drink his own piss if he thought it built muscle… but we digress). Pea protein comes from grinding dried field peas—the same type used to make split pea soup—into a powder. The starches and fiber are then extracted so you’re left with just the protein. 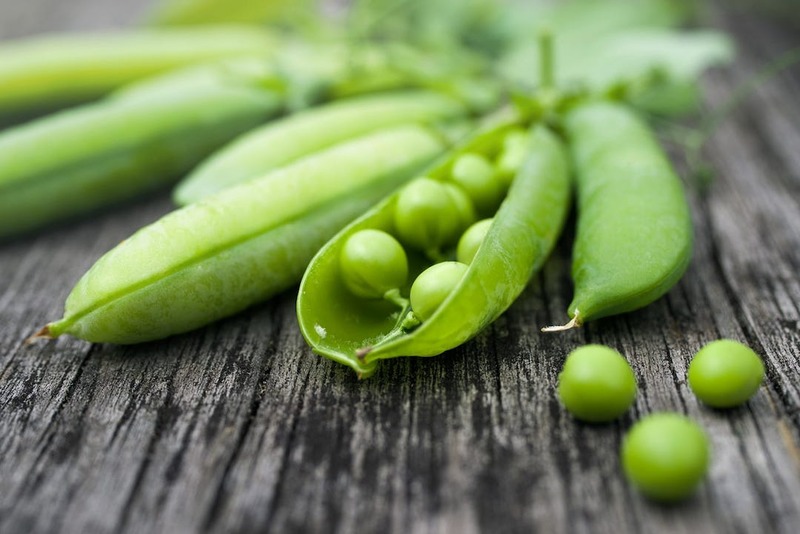 What Are the Benefits of Pea Protein? Ralf Jaeger, Ph.D., co-founder of Increnovo, a research-based consulting company serving the food, beverage, and supplement manufacturing industry, can rattle off a number of pea protein positives. “There’s no gas or bloating from pea protein like some may experience with whey,” he says, due to its digestibility and lack of allergens. “Pea protein is plant-based and sustainable, made with nitrogen-recycling, earth-friendly peas, and it’s rich in plant-based iron.” Pea protein also has an array of amino acids. Let’s take a closer look at these qualities, one by one. If gastric discomfort via protein powders is an issue for you, you should be in the clear with pea protein, which has a 94% rate of digestibility (i.e., almost all of it will break down during digestion and not stress your gut). Pea protein also scores decently for bioavailability—the amount of protein actually absorbed and utilized by the body. It’s not quite as good on this front as the animal proteins whey, casein, egg, and other meat sources, but it’s higher than soy, hemp, and bean proteins. The “no allergens” label is generally the biggest selling point for pea protein. The foods people most commonly have allergies or intolerances to include milk/dairy, eggs, peanuts, tree nuts, wheat (gluten), and soy, and that can make many commercial protein powders a no-go for them. You don’t have to worry about any of these with a pure pea protein supplement. If you’re even half as concerned about your carbon footprint as you are with building a better body, you’ll appreciate pea protein even more. Unlike whey, peas are relatively easy to produce. They don’t fart carbon into the air or pollute water supplies as cows do. Pea is as “responsible” a protein as any you’ll find. Iron is critical for transporting oxygen throughout the body. Roughly 10% of American women are iron-deficient; fatigue, shortness of breath, and restless legs are among the common symptoms. Pea protein is high in iron, with most products containing five or more milligrams per serving, which represents at least a quarter of the recommended daily iron intake for adults (19.3–20.5 mg per day for men, 17–18.9 mg for women). Plant-derived iron isn’t absorbed well by the body, but supplementing with vitamin C helps. If you’re a vegetarian or vegan who doesn’t get iron from animal foods, pea protein can provide an important boost for you. Plant-based proteins are often bashed for not having the muscle-building capabilities of dairy (whey, casein), meat, and egg sources. This is because they don’t have all the amino acids that are considered essential. Yet pea protein has a handful of aminos that are well-known for improving performance and muscle recovery—namely, branched-chain amino acids (BCAAs) and arginine. BCAAs, which include isoleucine, leucine, and valine, drive protein synthesis, and, as a result, muscle mass. Around 20% of the aminos in pea protein come from this trio. Whey protein, by comparison, is 25% BCAAs, but arginine is involved in protein synthesis as well, and pea protein has roughly three times the arginine content of whey. Pea protein contains lysine, an important amino for the health of connective tissue—cartilage, skin, and bones. Is Pea Protein a Complete Protein? Technically, the answer is no, but that doesn’t mean that pea protein is inferior to other sources. To answer this question thoroughly, consider the precise definition of a complete protein. It all comes down to the amino acids it contains. Your body requires 20 amino acids to stay alive. Eleven of these can be produced by your body itself, while the other nine must be obtained from food. These nine are called essential amino acids (EAAs for short). The nine EAAs are tryptophan, threonine, isoleucine, leucine, lysine, methionine+cysteine, phenylalanine+tyrosine, valine, and histidine. Having all these aminos is one thing, but a protein isn’t considered complete if it doesn’t contain adequate amounts of each one. Pea protein contains all nine EAAs, but it’s not officially a complete protein because it’s an inadequate source of methionine+cysteine. A complete protein provides at least 25 mg/g of this amino, and pea protein only delivers around 11 mg/g. Methionine+cysteine, however, is found in adequate amounts in many other foods, including eggs, cheese, chicken, beef, fish, wheat germ, oats, and even rice protein powder—so pea protein’s deficiency is only an issue if you’re not eating any other sources of this amino. This could be a problem if you’re a vegan or vegan keto dieter, but most people are likely to get enough methionine+cysteine without having to make a concerted effort. Many vegetarians and vegans purposely combine food sources to fill in their EAA voids. But since pea protein is only short on one amino acid, you should be able to get the maximum benefit from it if you’re eating a well-rounded diet in addition to supplementation. Also, as you’ll see in this next section, provided it’s taken in sufficient amounts, pea protein can provide the right dose of amino acids you need, and can even stand toe-to-toe with whey for muscle boosting. When comparing pea and whey protein powders, the first distinction has already been established: whey is a complete protein and pea technically is not, due to its lower levels of methionine+cysteine. However, it’s another EAA—leucine—that’s the bigger story here. The three BCAAs are superior to all other amino acids for stimulating muscle protein synthesis (MPS, the process of building muscle), and leucine in particular is the only amino shown to stimulate MPS independently. In other words, leucine is the most anabolic amino acid in the body. Whey has the highest leucine content of all protein sources, and that’s why whey has long been deemed the king of protein supplements, plain and simple. According to the International Society of Sports Nutrition, the optimal amount of leucine for stimulating MPS is somewhere between 0.7 grams and 3 grams per serving, and research shows that getting more than the top end of that range does not stimulate MPS to any greater degree. The discrepancy between whey and pea proteins simply means that it takes less whey to deliver optimal leucine than it does pea. In other words, you can achieve the same level of MPS as whey with pea protein by simply taking a little bit more of it—enough to put you in that 0.7–3-gram window. This typically ends up being a little more than one scoop, maybe two, depending on the serving size of the product you’re taking. In a 2015 study published in the Journal of the International Society of Sports Nutrition, male subjects ages 18–35 followed the same 12-week upper-body lifting program. Researchers tested biceps muscle thickness at the beginning and end of the training plan. One group of lifters supplemented with 25 grams of pea protein twice a day, and another took the exact same amount of whey protein. Each 25-gram dose of pea protein delivered around two grams of leucine, versus 2.65 grams for whey, but both fell right in the middle of the optimal leucine range. At the end of the 12 weeks, subjects in the pea and whey protein groups showed identical increases in biceps muscle thickness—both protein types showed greater results than placebo. The take-home here: As long as you’re getting sufficient leucine from your pea protein supplement, the muscular gains are comparable to those from whey. Does Pea Protein Cause Bloating? In a word, no. Some people imagine bloating would be an issue with pea protein, as it often is when eating peas, beans, and other legumes in whole-food form. 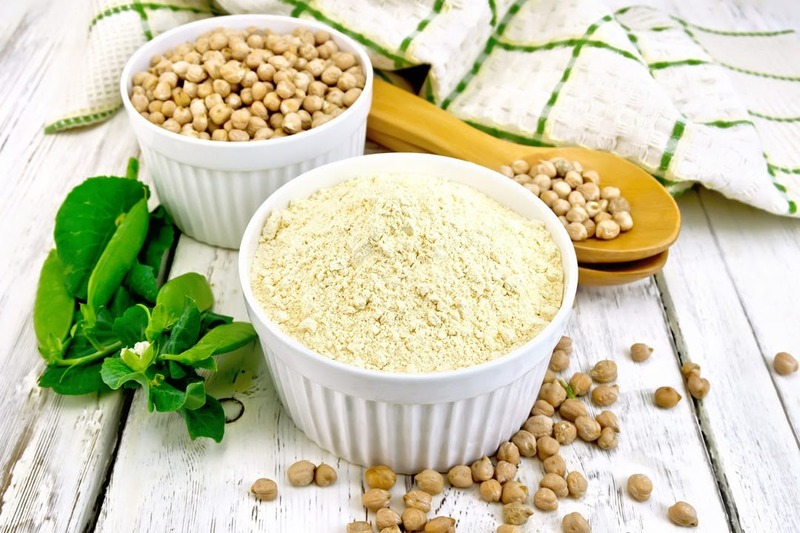 But the process of making pea protein powder removes the fiber and starch from the peas, and essentially removes the risk of digestive stress with it. “I would recommend pea protein for people who have digestive issues in general,” says Jaeger. Is Pea Protein Good For Weight Loss? Nutrition experts and scientific literature alike indicate that pea protein can aid in weight loss. “Pea protein is a natural thickener, so it will especially help with satiety,” says Jaeger, by filling up room in your stomach. Satiety is tied to decreased appetite, and, consequently, weight loss. In a 2011 Nutrition Journal study, subjects consumed 20 grams of either casein protein, whey, pea protein, egg albumin, a maltodextrin-carbohydrate drink, or water 30 minutes before a meal. Pea protein ranked second, behind only the super slow-digesting casein, in lowering appetite, resulting in subjects consuming fewer total calories for the meal. Like most protein powders, pea supplements do contain a small amount of carbs. Pea powders generally have roughly the same amount of carbohydrate as whey concentrates—two or three grams per serving. However, the carbs found in peas are naturally complex and relatively low on the glycemic index (GI) chart. So, if you’re following a keto or low-carb diet and want to be aware of every gram of carbs you take in, pea is a good choice. Pea protein products deliver anywhere from 15 to 25 grams protein per 1–2-scoop serving, and you can expect calories per serving to come in somewhere between 100 and 150. The calories and macros are pretty much the same as you’d find with whey and other animal-protein products. 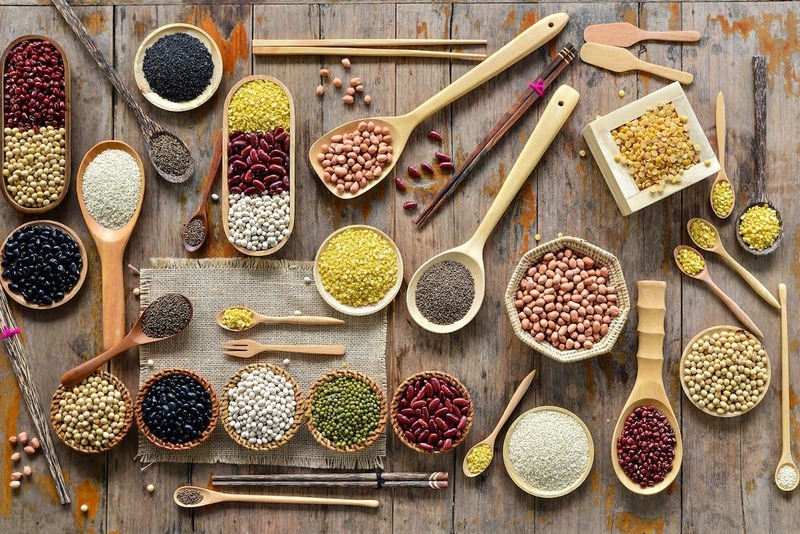 A lot of brands combine pea protein with other protein types (such as soy and rice) for a plant-based protein blend. Right away, this remedies the problem of pea protein being low in methionine+cysteine, but it may present other problems, such as the allergenic issues associated with soy, so read your labels. Many of these blended products list pea protein first in the ingredients list, meaning that it’s the most abundant source of protein in the powder. How Does Pea Protein Taste? Like piss! (Just kidding.) Reviews are generally mixed on the overall taste and texture of pea protein, but it’s safe to say that most people don’t enjoy drinking pea protein as much as whey and casein. However, this is not to say that pea protein tastes awful, or always pales in comparison to whey in the flavor department. Some users report pea protein having a subtle sweetness that they like (despite it only containing one gram of sugar per serving). It’s also been said to be less gritty than other proteins, and has a good consistency. If you try pea protein and aren’t digging it, the easiest thing to do is combine it with other ingredients to mask the taste. Mix it with almond or coconut milk instead of water, and add fresh or frozen fruit to it in a blender, or nut butter. Bananas, berries and/or almond butter can make a tasty smoothie out of almost any powder, no matter how bitter. 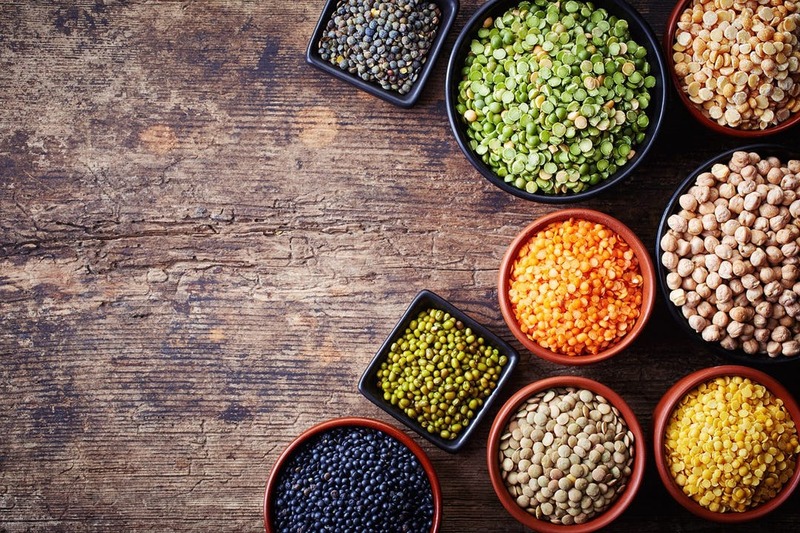 Who Should Take Pea Protein? Pea powders will obviously have the greatest appeal among vegetarians and vegans who are looking to up their protein intake to support an active lifestyle and promote muscle and strength gains. Pea protein is also a great option for anyone, meat-eater or otherwise, looking to avoid whey or casein due to an intolerance or allergy to dairy. Joe Wuebben is a veteran health and fitness writer who has contributed to major fitness publications and websites for nearly 20 years. He was on the editorial staff of Muscle & Fitness magazine from 2002–2014. Follow Joe on Twitter, @JoeWuebben.